I use Dashlane for keeping my confidential information such as all my website logins (username and passwords), internet banking logins, credit and debit cards information as well as other sensitive information like software license keys, email backup codes etc. You may be positively shocked how can I rely upon Dashlane which is a third party service provider so much that I can even let it in on even my credit card information. After all, many cases can be made against my doing so. For example, the service may be honest but there is no guarantee that any corrupt employee or a former employee of the company cannot lay hands on your data. Besides, you can never rule out the possibility of bad hackers’ access to your data through a third party service provider. So what makes me so sure that my data and not just data, the confidential and highly sensitive data is safe with Dashlane wallet? For many, I may sound dumb. But believe me, it is really other way around. As I just said that to many this step of mine may look nothing but an overconfident, desperate and foolish act. Actually I myself used to think that no password wallet was reliable and you had better write your passwords somewhere or some passwords ( like those issued by websites automatically or sent by a client through an email) were saved in your gmail account as emails. But over time the number of my clients swelled and with that my login credentials on different websites also increased. If you are a blogger or an avid online shopper, you need to create user accounts from time to time. So to avoid losing them, you either use the same password for all your accounts or write them somewhere. Generally speaking, a power user of the Internet can come to have as many as or more than hundred accounts on different websites. So it becomes increasingly impractical to write them somewhere because every time you have to go through the whole process of taking out the notebook ( of course you cannot keep it in open as it contains your sensitive information) and finding the desired password. Besides, it takes time. Even more impractical is to try to remember all those strong passwords by heart. In that case we resort to dangerously vulnerable way and that is using the same password for all your accounts. Just think, you are using a single password for your email account, for your Amazon account and Internet Banking account and someone with bad intentions steals your only password. How disastrous it could be, it would literally ruin you. All things considered, all the three methods writing your passwords in a notebook, remembering your passwords by heart and using a single passwords for all your accounts are either inconvenient and impractical or simply fatal. I was totally fed up with struggling to not forget all those passwords and my brain told me frankly that it cannot hold any more passwords. I was again and again failing to recall the correct password for a particular account on time. I thought it was about time that something should be done. But what, I had no idea. Back then, I used Avast Internet Security ( now I use Norton Security). By chance one of those days I got an offer from Avast which was about Avast’s password manager. I had an absolute belief in Avast’s integrity, so it was first time I took a password manager seriously. I went to Avast’s password manager page and read it through. It was then that I came to know that even an employee or system of Avast cannot access your stored passwords. I found out many new, refreshing, eye-opening and myth-busting facts about Avast Passwords, which is the name Avast’s password manager. Avast Password page read that it used 256AES encryption to store the passwords on Cloud, which was the most powerful encryption ( a military grade encryption). Without a master-password, nobody can decrypt your passwords. Since these words were coming from Avast, I did not doubt them. But to get a fuller picture of password managers and to remove my remaining misgivings, I read about AES356 encryption thoroughly. Finally I concluded that I can trust it and I should give it a go. . I subscribed to the yearly package of Avast Passwords, which was very economical, just $8/year. But soon I was disappointed with the way Avast Passwords worked. It was not fully compatible with Chrome Browser and was not able to capture and auto-fill a password while working on that browser. Besides, Avast Passwords did not offer a centralized, cloud-based password management or device management. These things made me decide to stop using Avast Passwords. But as I was sure of the security system of password managers by then and in a way I could no longer get along without a password manager, I started looking for a better password manager service. A service that should not only be secure and hack-proof but also live up to my expectations. I needed a service that could capture all kinds of my website registrations flawlessly and instantly and fill out the login form automatically. During my search for a good password manager service, I came across Dashlane, which is my current password manager. Dashlane may at first sight look to you a bit more expensive, but when it comes to its service and all the benefits you get, it’s worth it. Dashlane offers both free and premium subscriptions. But I would recommend only premium version, because with premium version you can access your vault even on your mobile device and an automatic backup of your vault is also taken on a daily basis. Not only that, you can make the 2 factor authentification of U2F key easier. In other words Dashlane can be called a close-to-perfection password manager. That said, it also has, though little, its share of shortcomings. There are some websites where Dashlane fails to auto-fill the login details, for example websites which use ‘Post Affiliate Pro’. Fortunately the number of such sites is negligible. Sometimes the browser add-ons of Dashlane can hang. In that case, you can fix the problem by restarting the browser or only the add-on. One thing most people would complain about Dashlane is that its premium subscription is very pricey compared to its competitors. While the annual subscription of LastPass is available only for $10, to get the same subscription of Dashlane, you have to pay around four times the former’s price. Yet at the same time, if we compare the price we have to pay for Dashlane and the features we get from it, you can easily say that feature greatly outstrip the price. To put it simply, seeing its top-rated software and the advanced features, its price tag is justifiable. Like most other password managers, both free and paid plans of Dashlane are available. You can use Dashlane free of cost in your PC. Free plan comes with limited features. It lacks many important features such as multiple device support. Similarly with free plan, you cannot access your wallet from any computer through its web based interface. Automatic cloud backup feature is also not a part of free plan. On the other hand, Dashlane Premium Plan which I recommend you has not only all the basic features but also all the necessary and advanced features. With premium plan you can use your Dashlane wallet on Windows PC, Mac, iOS and Android without any limit. Dashlane Premium costs you $39.99 per year and as I said earlier that though it may not seem very budget-friendly especially seeing the price tag of other password managers but, believe me, it is really cost-effective. Dashlane comes with extensions for all the popular browsers. It very effectively catches the username and password during the registration and when you log in to that website again, it fills in the login form with captured login details. Besides, if you want to change your password, Dashlane can generate a new password for you and simultaneously asks for permission to replace the old password with the new one. Dashlane’s auto-filling works with Android and iOS also. Dashlane’s mobile app has an integrated browser also which supports auto-filling. Above all, Dashlane can auto-fill the login details of mobile apps also, which is very ingenious and remarkable. 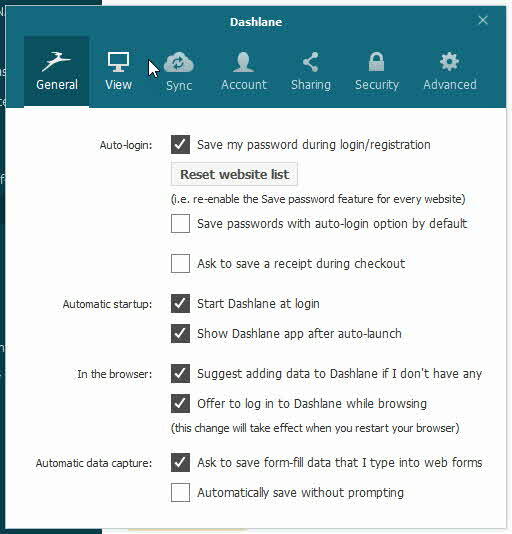 When you activate this feature, Dashlane can auto-fill the login forms of the mobile apps which use the login credentials saved in Dashlane. Sometimes for some reason Dashlane after generating a password fails to save the login details. In that case, Dashlane’s password history feature comes in handy. Using its password history feature, you can detect the generated password and update your saved login details accordingly. 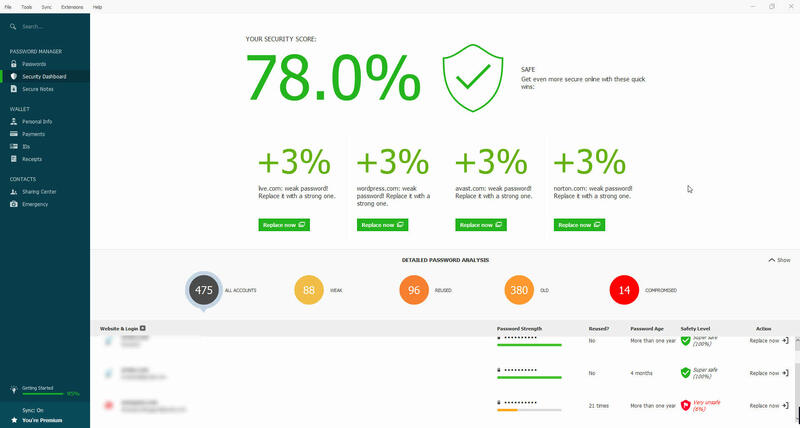 With the help of Dashlane’s security dashboard you can check on your passwords. It lets you know where you have used weak passwords and encourages you to change your passwords. Not only that, Dashlane using its security database keeps an eye on the websites where your accounts can be compromised. For instance, just a few days ago, when many Dropbox accounts were hacked, Dashlane asked its subscribers through emails to change their passwords for Dropbox accounts. And Dropbox logins saved in the security dashboard started appearing as compromised. This way Dashlane helps us spot the logins where we have used weak passwords. Password Changer is yet another wonderfully crafted feature of Dashlane. This feature allows you to change your password for a website from your Dashlane dashboard with just one click and without having to visit that website. As of now, this feature comes for only select websites but the list of websites which Password changer is compatible with is growing with time. With this life-made-easy feature, you can change your passwords which are not strong enough with just one click. 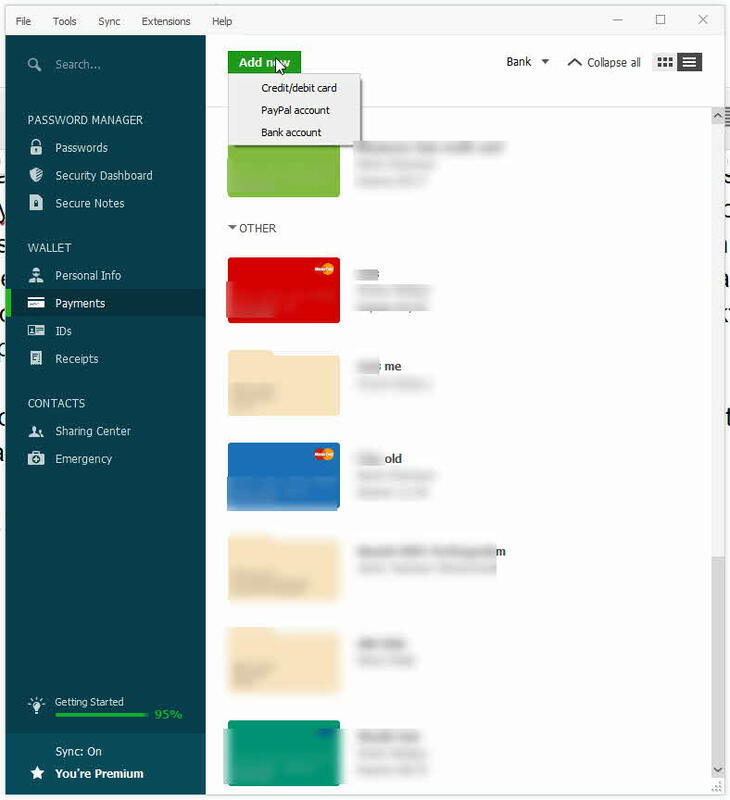 And not only that, the new password get updated automatically in Dashlane wallet. With the help of Dashlane You can save registration data, email address, phone numbers etc in advance and use this data to fill in any online registration form in one go. When it comes to fill in the registration data, Dashlane stays one step ahead of other password managers. As we see that most of the password managers save the registration data in form of a profile and when we need to fill in any registration form, we can fill out the form with any saved profile as such. But here is a catch. Think, we need to fill out a form where some data has to be taken from one profile and some from another ( as in the case when two persons have the same address or a person has two phone numbers), how would you manage this? 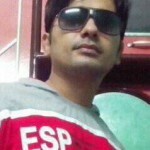 Dashlane registration data profile ke taur par save na rakhkar individually save rakhta hai aur is tarah registration data ko alag alag combination me use kiya ja sakta hai. You can keep your debit, credit card, bank account and paypal account details safe in your Dashlane Payment vault. It is an ultra-secure feature. There are many additional layers of security. For once, even if you have logged in using your master-password, you have to provide the master password every time to extract each separately saved payment information. More often than not, professionals share their passwords with their team or developers. Sometimes we send our username or password through email or Skype (or any other IM app). This way, these sent passwords get stored in the recipient’s email account or any other IM app we used to send the passwords and stay there until we change them. Suppose, we were not careful enough to change our passwords instantly and in the meanwhile somehow the recipient on purpose or accidentally leaked our password, what can we do? To ward off such a predicament, Dashlane’s login feature is unmatched. You can send an encrypted password (with limited rights) and the recipient, without actually decrypting your password, can access your online account by using Dashlane’s auto-login feature. Isn’t it wonderful? You can cancel the password recipient's login access any time. So, without actually revealing your password to anybody, you can allow someone access for a limited time. Other than Login credentials and payment information, you can save any other sensitive information also in your Dashlane wallet. If you protect a note with the master password, its content will remain hidden until you unlock it with the master password. Dashlane can capture your payment receipt and save it. Whenever you pay using your card or PayPal, Dashlane offers you to save payment receipt. However, sometimes it fails to calculate the total payment amount (especially when transaction is not in dollar).Personally, I do not like this feature very much because very often I have to make my payments in INR and Dashlane fails to calculate the payment receipt. Dashlane offers many options for security customization. In fact, Dashlane wallet reminds me of a high security jail. Still more, you can double-secure everything: viewing your password, password details, secure notes, payment receipts and even auto-fill. What I mean by the double-securing is that if you have double-secured something, you will need to provide master-password again to copy that information (or auto-login), though you have logged in using your master-password in the first place. Double-security feature is optional for different data (such as logins, payments, receipts or auto-logins). One more thing, you can set an auto-logout time for an app. Auto-logout time feature is especially of importance when you are going to use Dashlane all day long. So, when you leave your PC for some time, Dashlane logs out automatically. Dashlane, through Google Authenticator and U2F, also brings you two-factor-authentication. Google authenticator app is also available for Mac, iOS and Android. Besides, if you have Fido security key, it is cherry on the cake. This USB key also enables you to use 2FA option. When you enable 2 Factor Authentication feature, Dashlane provides you with printable backup codes. It is because if for some reason you are not able to use 2FA and it is very urgent, in that case you can access your Dashlane wallet through these backup codes. With Dashlane, you can change the master-password only when you are logged in and there is no another way to change/reset it, if you are logged out. What I find very different yet at the same time very reassuring about Dashlane is that there is no option to recover your master-password, if you forget it. Yes, apparently, it may seem a drawback but in fact it is in your interest. How? Now put it this way, if you cannot recover your master-password, nobody can get your master-password by employing any method like email. So, if a password manager service (like LastPass) provides an option to recover your master-password, it is a sort of loophole in the security rather than a convenience. It is recommended that you should keep your password secure in written form. And be as much careful of its security as you are careful of your jewelry or cash. 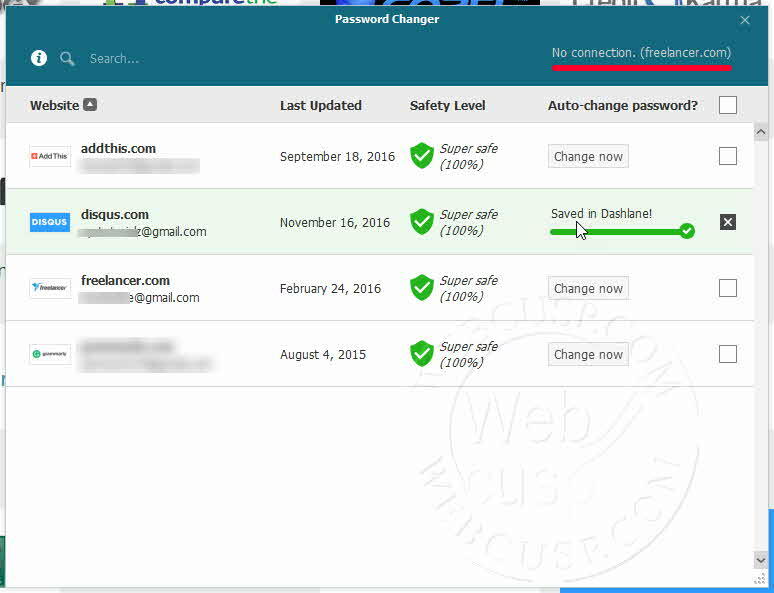 With Dashlane client, you can not only search any saved data (by login name or username) but also sort it by alphabets, categories, most used and last used. 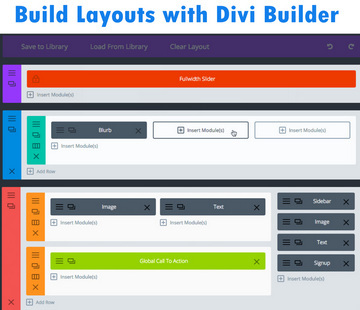 You can have data display in grid or list format. I finally went for Dashlane after trying 7 or 8 password managers thoroughly. Sometime I had second thoughts about Dashlane and the idea to switch to LastPass many times crossed my mind (which I consider the second best and most popular password manager), but ultimately I have concluded Dashlane is the only one you can unconditionally trust. I have been using Dashlane for two years in a row and among other things I have benefitted from it, the most important thing Dashlane has helped me with is saving my time, the time which I had otherwise would have lost to looking for passwords, racking my brains to remember some dodgy password. Even more importantly, now I use different and strong passwords for different websites without ever worrying about forgetting those lengthy passwords. Dashlane has made my online business unprecedentedly easier. I cannot thank Dashlane enough. I recommend Dashlane with all my heart.